The answer to the above headline, from my point of view is a resounding 'could be'. Whatever the answer truly is, it is at least very interesting to learn that there is a single "power couple" within modern music responsible for producing and directing not only some of the biggest names in today's modern music industry, but some of the most vile and occult videos as well. And it seems not only do they have a love for the sinister in their video's and music productions, but in their own lives as well. See if you agree. -W.E. To fully understand the powerful and shadowy occult influences playing a role in Hollywood and in music today, one must learn about the little-known power couple Jonas and Bea Åkerlund. The immensely successful couple was dubbed a “modern-day Addams family” by Bon Magazine, but their quiet influence on modern culture cannot be understated. Jonas Åkerlund is a Swedish-born film and music video director who has become an extraordinarily influential Hollywood power player, having directed and produced wildly successful music videos for Lady Gaga, Beyonce, Coldplay, Ozzy Osbourne, Madonna, the Rolling Stones, Lenny Kravitz, Britney Spears, Pink, Paul McCartney, U2, Smashing Pumpkins, Rammstein, Kid Rock, Prodigy, Roxette, Moby, The Cardigans, Metallica, Jamiroqai, Iggy Pop, Robbie Williams, Blondie, Jane’s Addiction, Maroon 5, Blink 182, Devo, Rihanna, Primal Scream, Duran Duran, and many, many more. 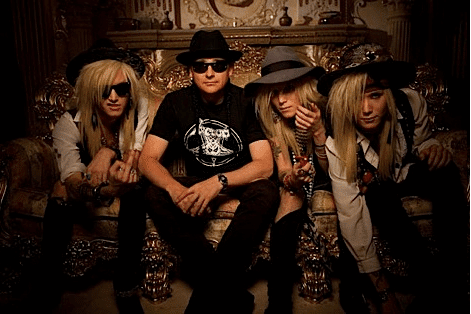 Jonas Åkerlund has also directed/produced major television commercials for Fortune 500 corporations such as Cadillac, Sony, Virgin, Volkswagen, Kmart, Lexus, Dell, Puma, Adidas, etc. He has won Grammy awards, MTV Music Awards and received similar accolades. Jonas once had a relationship with heiress and fashion designer Nina Philipson, granddaughter of Sweden’s richest woman, Märta Philipson. In fact, Jonas has a daughter, Mini, with Nina. Mini was born in September 2001. From Jonas’ website and resume, it would appear that he may be a practicing Satanist. For example, on his website www.JonasAkerlund.com, there are inverted pentagrams and falling angel icons littering the site. Jonas’ logo contains upside down crosses and inverted pentagrams. and seen a thousand virgins fall. Many fans and reviewers have noted that the heavy metal band Venom was a major influence on Bathory or even accused Bathory of copying Venom. 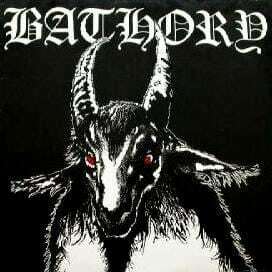 The band BATHORY was named after Countess Elizabeth Báthory de Ecsed (8 August 1560 – 21 August 1614) who was a countess from the renowned Báthory family of nobility in the Kingdom of Hungary. She has been labelled the most prolific female serial killer in history. Báthory and four collaborators were accused of torturing and killing hundreds of girls between 1585 and 1610. Despite the evidence against Elizabeth, her family’s influence kept her from facing trial. She was imprisoned in December 1610 within Csejte Castle, Upper Hungary, now in Slovakia, where she remained immured in a set of rooms until her death four years later. The stories of her serial murders and brutality are verified by the testimony of more than 300 witnesses and survivors as well as physical evidence and the presence of horribly mutilated dead, dying and imprisoned girls found at the time of her arrest. 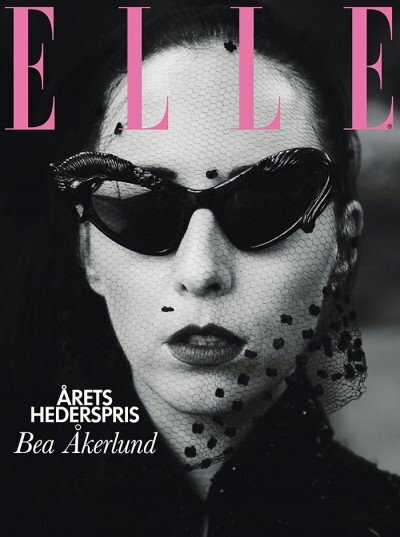 Further, Jonas’ wife, Bea Åkerlund has had an enormous influence on the styles and gothic transformations of mainstream divas and pop stars, as well. Further, the Åkerlunds are collectively responsible for some of the stranger imagery used by Lady Gaga. In conclusion, there are undoubtedly influences on music’s elite such as the Åkerlunds, that can best be described as dark and shadowy.